Are You Leaving This Crucial Ingredient Out of Your Book’s First Chapter? 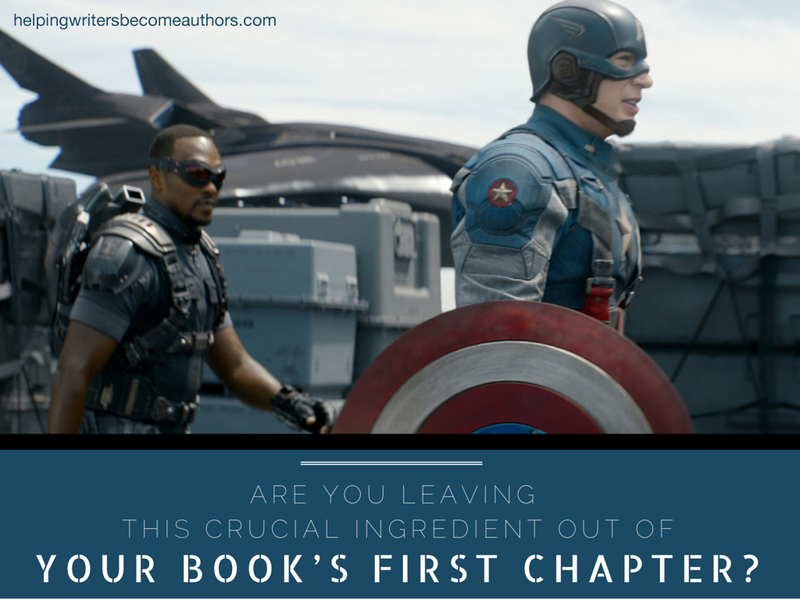 This week’s video shows how you can take a page from Captain America: The Winter Soldier to hook readers with even a small amount of character development in your book’s first chapter. Your book’s first chapter is hard. There’s so much you have to cram in there in order to get it to all work out. There has to be enough background and setup to orient readers. There has to be that opening event—that first domino—that kicks off the plot. There has to be action of some sort to engage readers. And don’t forget conflict and stakes! It’s a laundry list, for crying out loud. But there’s one more thing you have to include if your book’s first chapter is going to be a success. And that is character. 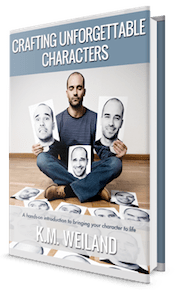 Now when I say add character to your book’s first chapter, I first and foremost mean add your protagonist. This is the person readers need to connect with, so don’t beat around the bush. Whenever possible, the protagonist should always be the first person they meet in your story. The second thing to be aware of is that it’s not enough just to have your protagonist show up on stage. What “introduce your protagonist” really means is introduce the fundamental core of his personality. This is what the characteristic moment is all about. 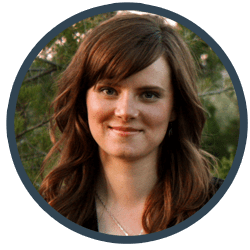 Hook your readers with your protagonist, even if it’s just briefly. You may thinking quite rightly—that action-oriented stories need to open with a bang that doesn’t necessarily allow for any lengthy character introduction. But you might be surprised how little character you need at the beginning to actually make this work. If your introduction is skillful, it need not be more than half a scene or less. For a great example, check out Captain America: The Winter Soldier, which opens with a three-minute non-action scene that effectively introduces its three most important players as not just characters but as interesting people. That job done, the story can then hurtle into full action-hero mode with zero concerns that viewers won’t be able to identify with the hero. So take a look at your book’s first chapter. 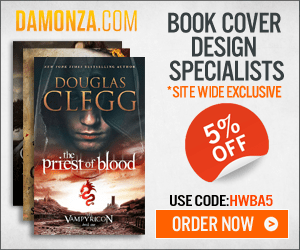 Have you hooked readers with character? If not, what small scene can you add to remedy that dire absence? Tell me your opinion: How have you used your protagonist to hook readers in your book’s first chapter? Recently I have been reading a couple of first novelists’ efforts, and was a bit dismayed by the absence of a decisive introduction of the protagonist, the main character whom we call the MC – elsewhere interpreted as the master of ceremonies. But that is the important factor: the master of ceremonies. The character in charge of this story, as it were. My writers did not understand at first that the reader must not only meet the MC, but recognise that this is the central character of the story. Then take it one step further, very early in the opener, to sympathise, EMpathise with the MC. KM, your laundry list is on the button. As usual. The beginning is an incredibly tough balancing act. But if we’re going to leave out something, it definitely shouldn’t be the protagonist. After the initial hook in the first line, he’s what matters first and foremost. This is why I have Lance Licorice tugging his mustache. He is a very open, cheerful, guy who wants the best for others. Right then he is sitting in a tree, watching people go by, and hoping they’ll notice him. But he is a little shy towards large groups. Then when a person finally notices him he perks up and starts being his charming self. The opening scene shows that he can get bored, and hot, and be ignored. I am so glad you wrote on this. As a thriller writer who also likes to enjoy reading one, I am so turned off by stories that start with all candy and action, and you have no idea who the pawns shifting about the chess board are as more than action pieces, or why should care about them. You are right that it’s tough to cram all that in there, but you can do it without inducing an expository bore fest, and it will connect the reader more meaningfully to the story. Plot is a vehicle for character. If the car’s empty, it’s a crash in a progress. I was wondering if it is acceptable to have another character introduce the protagonist, in the first chapter, by speaking about them and describing them? For example, a brother speaking about his sister, the sister being the protagonist. She may not actually appear in the first chapter, but the brother’s insight would tell us what she is like. This isn’t a hard and fast rule, so just because it’s generally advised against doesn’t mean it *can’t* work. But as I mentioned in the post, I would always caution authors to double think any opening scene that doesn’t feature the protagonist. It’s a pitfall waiting to happen. Thanks for the advice. You are always very helpful. Thinking about what you said, I see your point. The first chapter I wrote was from the brother’s point of view, and sometimes he doesn’t view his sister in as a positive light as I would like the readers to view her. Consequently, I could be setting her up to fail, right off the bat. Originally, the brother was going to be the protagonist, but the story took a different direction. I have decided to rewrite the first chapter, and the idea I have should make for a better beginning, with a better hook as well. At the least, it’s always interesting to see what a different take on the same chapter provides you in the way of insights about the story. So in my story that I’m writing, is it okay to start out with the antagonist discussing if (he’s not sure) he should kill the protagonist with his manipulating wife? In general, I recommend against starting with the antagonist. You want to hook readers in with your *protagonist* and give them a reason to care about what the antagonist is planning. And THAT is why my most recent attempt at a first chapter failed. Well, first of all, I dropped the ball by making my protagonist the *second* character introduced, giving too much importance to the character who got the first slot. And second… I really didn’t give a good glimpse of her core personality until the end of the chapter. The two people I asked to read the chapter mentioned the disconnect. Bored by the side character, intrigued by that (too small, too late) glimpse of the protagonist. Hence, the next attempt will involve cutting directly to what was originally the tail end of the first chapter. The good news is that you know your readers *were* intrigued by your protagonist! Yes! Honestly, I’m happy to cut that chapter down. I didn’t really like the side character’s POV, anyway. Now, the challenge will be to preserve whatever it was that made the protagonist interesting in that section… hm, okay, and even before that, to identify HOW I succeeded in making her interesting there. I always do this, but never intentionally. I guess I’ve soaked up good storytelling? In my debut novel, I open with my hero lost in grief and in a place where the hope has been sucked out of him. By the end of the first page hope has walked into his dreary life and the spark has been lit again, even though he’s trying to smother it. In the current WIP, it opens with the two relationships the hero has lost, one not his fault, the other totally his fault. It’s a second chances romance and he believes he’s screwed it up beyond all hope of repair. Relationships are a great way to open stories – even action stories. Characters are almost always easier to relate to when they’re not in a vacuum. Hi K.M., just wanted to thank you for all you do, sharing your insights and finding easy ways to teach these important structural foundations. Reading your blog has helped me produce much more engaging stories in marketing videos/commercials I do. More importantly, it’s given me a clear roadmap for my memoir when I had no idea where to begin. That’s awesome to hear! I’m so glad you’ve found the information useful. Keep writing! You have no idea how much your post has helped me this morning. I’ve started the same story SIX different times, and I couldn’t pinpoint where I was going wrong. I think I was trying to hook a reader with fluff than substance. Probably why I knew it wasn’t working. Thanks so much! Beginnings are daunting. They have to accomplish about a gazillion things at once. So it’s no wonder they often stump us! But if we start with character, we’re always at least on the right track. It is conventional wisdom(and good advice) to say that the protagonist should always figure at the very beginning, but I’m not persuaded. Maybe it’s having taught too much Shakespeare, but I gravitate in my own writing to arresting, strong intros without my protagonist. If the opening is gripping enough, I am hoping the reader will be even more curious to find out how this action relates the story’s key player. There are definitely great exceptions to every rule. And a strong hook will pull readers in, regardless the lack of emotional connection with a character. But, when it’s possible, why not double our money by combining great hook with great character? My current WIP used to start with an impression of the setting slowly moving in to the two main characters. I’ve since reworte the first chatper… what? 20 times? Good job! Based just on your brief summaries, I’m already much more interested in the second version. The link on background and setup on Step 2, after the line that reads “There’s the all-important hook.” now goes to a “Page not found” page. Thanks for the heads up! I’ve removed the link.